I’m proud to be a part of a community with a bit more tact in their marketing and recruiting. 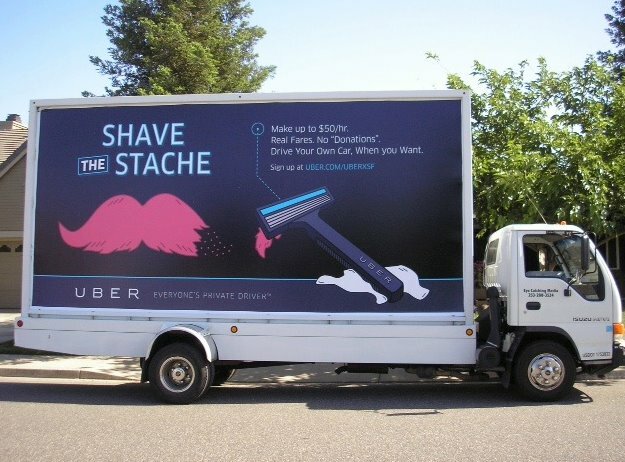 What do you think – is Uber taking things over the top, or a clever tactic? It sounds like Lyft must be doing something well if they’re raising the hackles of a much more established, albeit startup, car service company. At first I actually thought it was an ad for Lyft before I read the copy (and who really has time to read ad copy anyway). The biggest problem with shaving a mustache? It grows back.